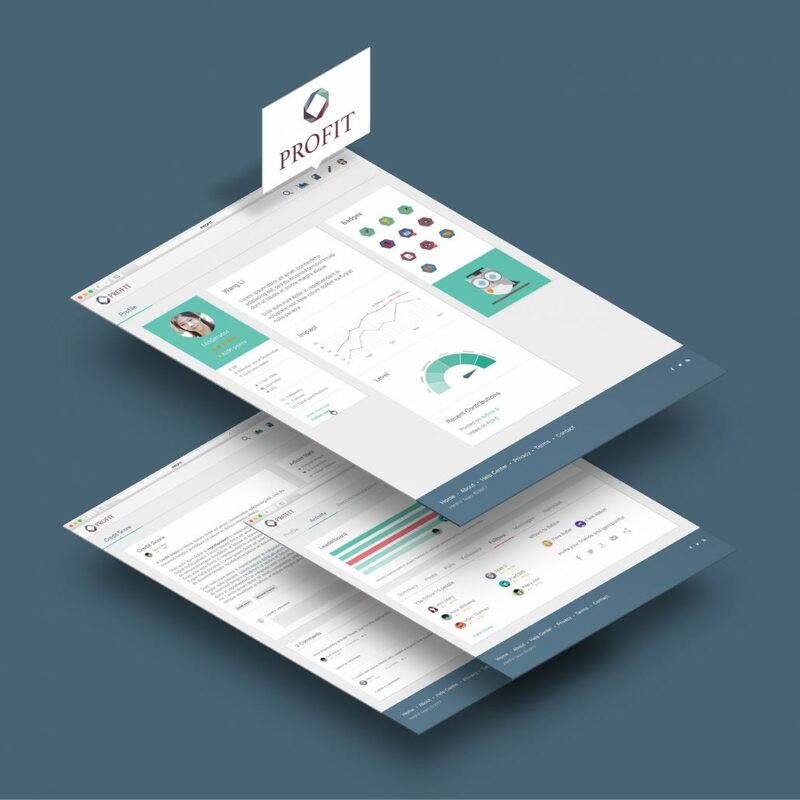 An issue that we had to take into consideration for the design of the PROFIT Web platform was finding ways to encourage user participation, sustain user engagement, and enhance the overall user experience. 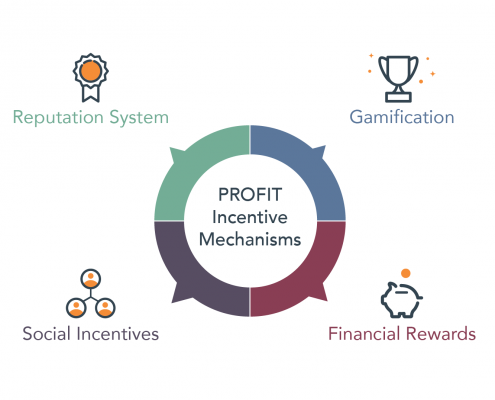 Within the PROFIT platform, this issue has been addressed by CERTH with the design of a reputation-based gamification system which aims at bringing a sense of reward and fun to the PROFIT users. 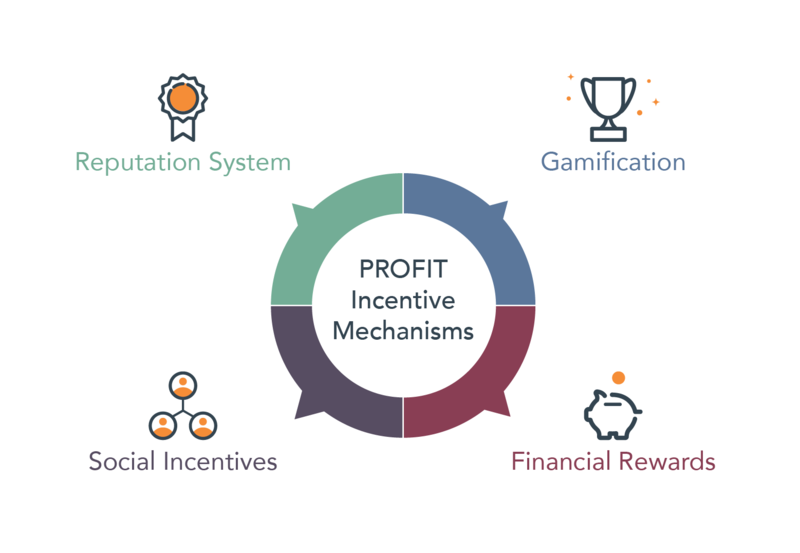 Based on previous research we conducted, we decided that the PROFIT platform should combine a variety of different incentives, such as a reputation system that corroborates users’ trustworthiness, game design elements, social functionalities, and financial rewards, in order to correspond to various motives of many different user groups. Additionally, visualizations and graphs will show users the impact of their personal contributions to the platform community. 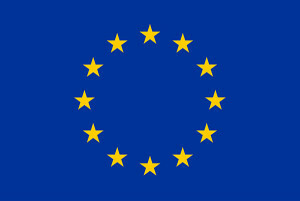 More specifically, users can gain points for each one of their actions on the platform, as well as increase their reputation score, which reflects the quality of their provided contributions as rated by other PROFIT users. 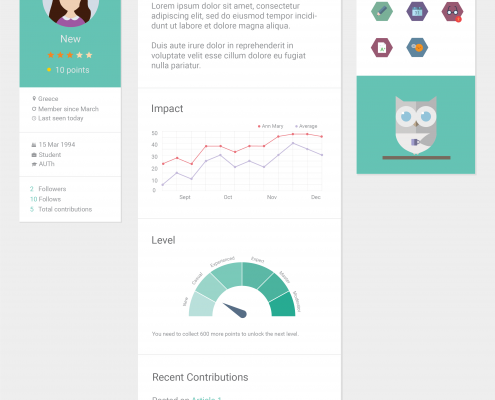 Users who make frequent contributions of higher quality to the platform will unlock new features (e.g. 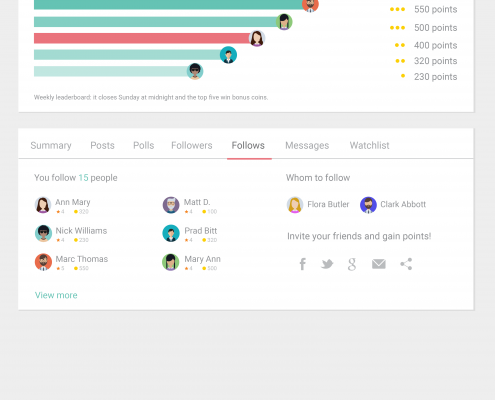 moderation rights on the platform), gain rewards, and upgrade their level. 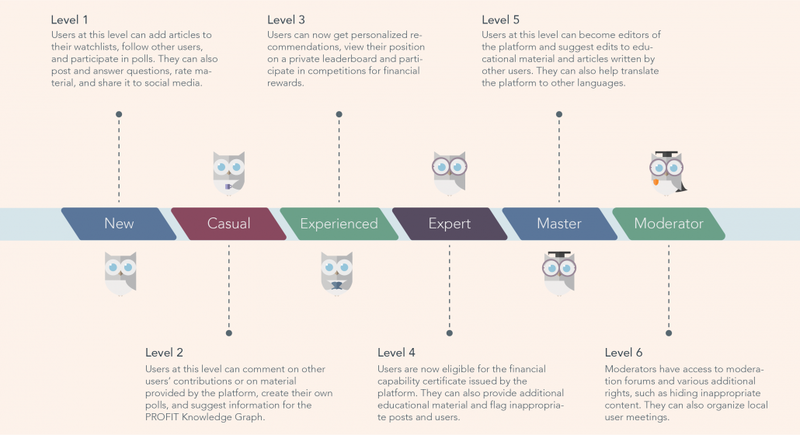 There are six levels on the platform: New, Casual, Experienced, Master, Expert, Moderator, each one granting different privileges to users and providing a sense of progression on the platform. 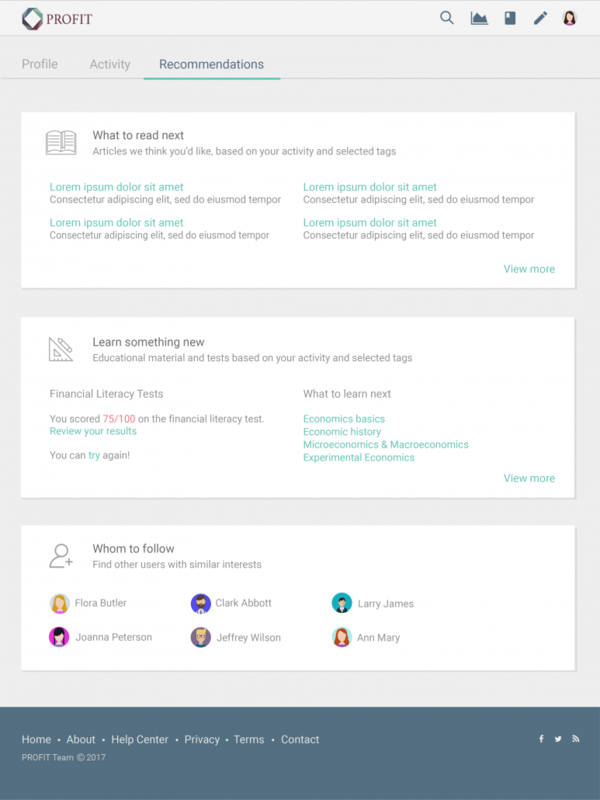 Users will also be presented with illustrated avatars that change according to their level and can be displayed on user profile, as can be seen on the image below (click on the images for larger view). 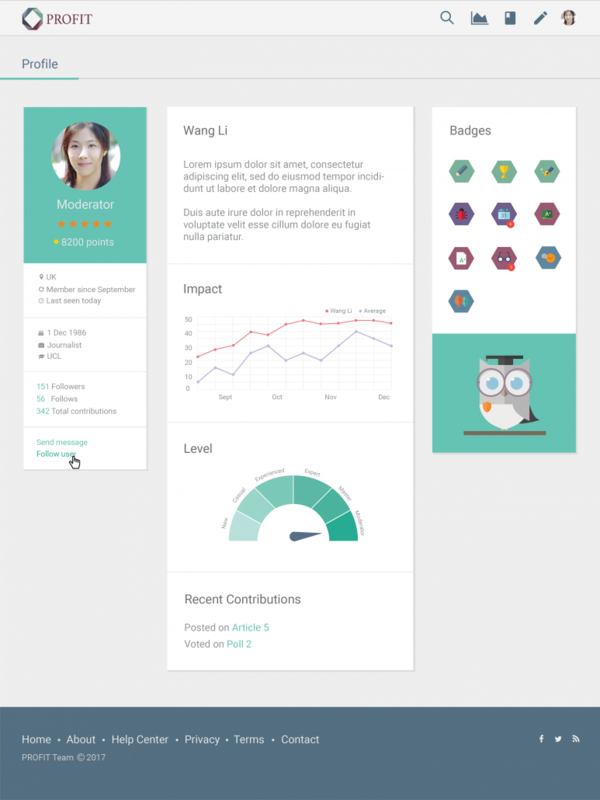 Users will also be able to win badges that indicate special achievements and will be visible on user profiles. 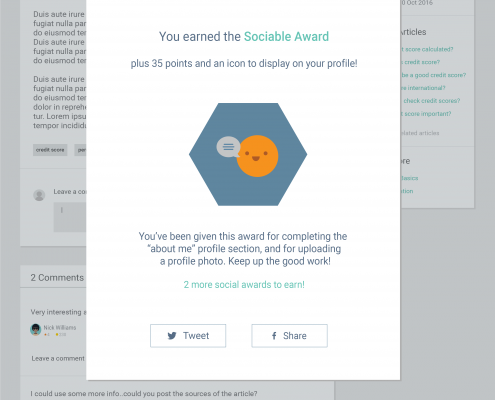 There are, for example, badges that encourage participation of newcomers, like the “First article award”, given to the users that posted their first article, and the “Sociable award”, given to the users who completed their profile and uploaded a profile photo. 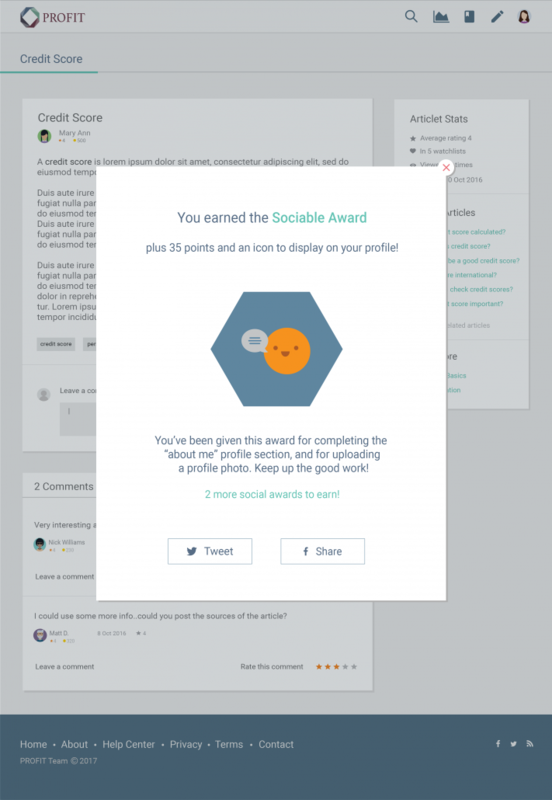 Some badges give bonus points to users, and some of them can be won more than once! Various social functionalities were also incorporated into the design of the platform, in order to facilitate the exchange of views and knowledge, and foster a PROFIT community. 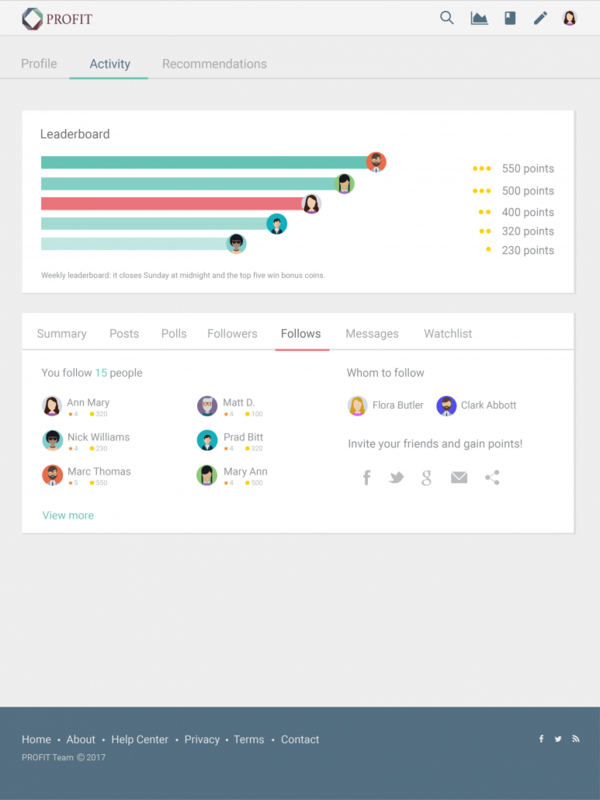 These include the functionality to follow other users, comment on other users’ posts, participate in polls, and share posts on social media. Moreover, users will have access to a private activity dashboard, where they will be able to access, among others, lists with their followers and personal recommendations on interesting material and people to follow. 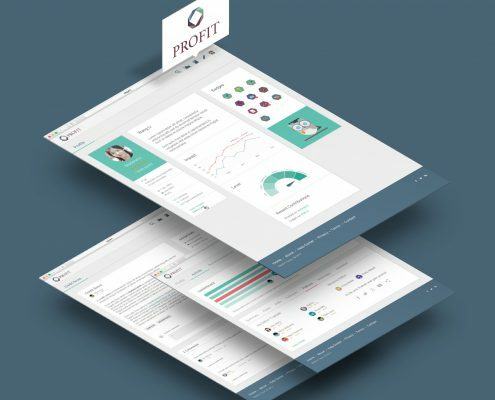 Based on that, we designed detailed mockups of many pages of the PROFIT platform (such as a user’s profile page and activity dashboard), as well as various gamification elements (as can be seen in the images included below). Financial incentives that could spark the interest of users include the possibility to enter a competition for a tangible reward, as well as discounts on financial products provided by local cooperatives and alternative banks. 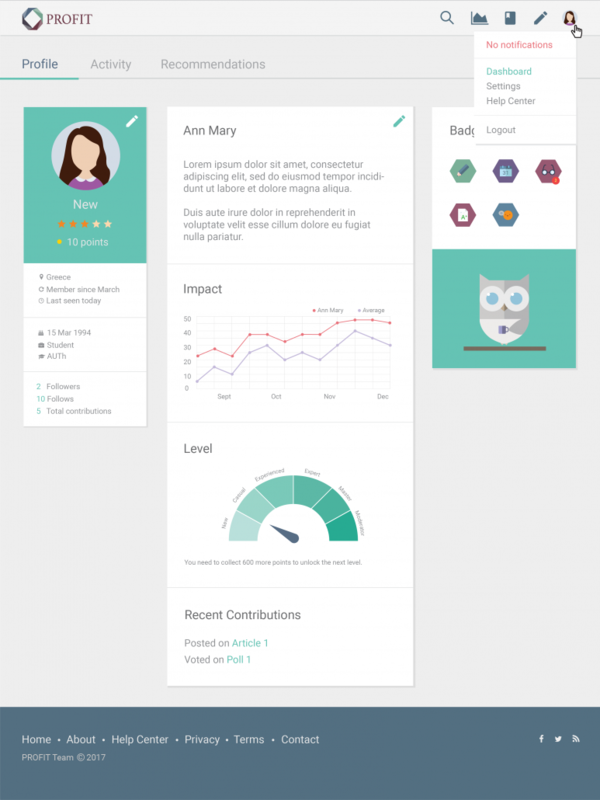 These tangible rewards will be available for users that have reached a certain level (e.g. experienced users and above). Of course, such a tangible reward will have primarily a social value rather than an economic one, in line with the overall approach of ethical finance. 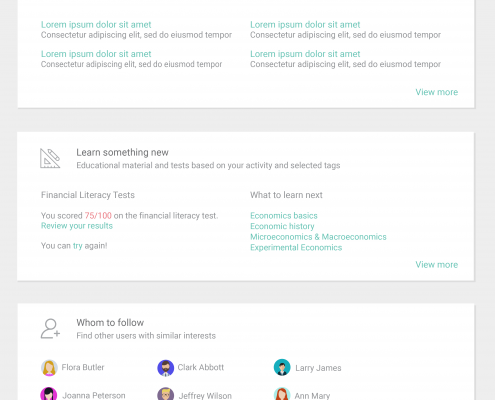 Lastly, users who will reach the expert level and achieve a high score in a predefined set of actions concerning the financial literacy module, will be awarded a Financial Capability Certificate, certifying their achievements within the PROFIT platform. Read more about the PROFIT Incentive Mechanisms here. PROFIT at “Financing the Social Economy in a globalized context: today... What do people expect from a financial awareness platform?